Product #15880 | SKU SM63LB | 5.0 (based on 1 rating) Thanks for your rating! 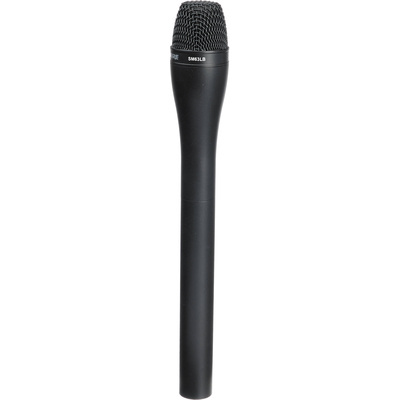 Elegant yet rugged, the high-output Shure SM63LB Omnidirectional Dynamic Microphone with Extended Handle, in black finish, is designed for professional applications where performance and appearance are critical. Its smooth, wide frequency response is tailored for optimum speech intelligibility, and includes a controlled low-frequency roll-off for reduced pickup of stand and wind noise. A built-in humbucking coil makes the microphone virtually immune to strong hum fields, such as those produced by studio lighting.